We remain head over heels in love with Lightning Ears, the Wireheads album released by Brisbane's Tenth Court a year ago (our review here). So we were happy to listen to an new Tenth Court release by another Adelaide band, Rex Wonderful & The Silk Sheets. We cued up the music for Ego Death and, to our delight, noticed a lot of similarities with Wireheads. A bit of research before we lost or senses to happy hour revealed a strong DNA connection between RW&TSS and Wireheads. Specifically, both projects feature Dom Trimboli, Liam Kenny and Alex Gordon-Smith of Wireheads, as well as Elena Nees and Dana Ashford. Legend has it that the band was formed at a drunken brunch, giving Wireheads and Dom & the Wizards and baby sister to play with. I don't know if the legend is true, but the smashing opening track is titled "Mimosas", so we wouldn't dismiss it. The music features stellar and varied guitars, the most delectable dirty grooves you could ask for and a rhythmic talk sing vocals. It all makes you want to get up and start walking, very possible to your favorite purveyor of mimosas. The weekend is here, and it brings Ego Death and mimosas! We are very happy. Drew Frosberg, frontman of St. Paul power pop masters The Persian Leaps and label czar of Land Ski Records, couldn't have chosen a better name for the band's compilation than Pop That Goes Crunch. 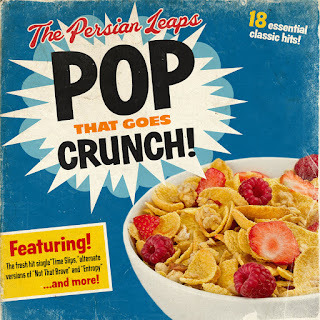 To be fair, he borrowed the name (with permission) from a radio show, but it really is the perfect title for a compilation of songs that reveals The Persian Leaps to be one of the best underrated power pop band in the United States. The guitars do everything you would expect -- jangle, ring, buzz, chime, and of course, crunch -- and do it very well. But what comes through even more clearly is just how good the songs are. This is pop craftsmanship to celebrate. In our view, many retrospective collections are enjoyable because they remind you of the good albums, and you accept a few songs that you suspect are makeweight. However, with Pop That Goes Crunch something very different happens for us. This album points out to us that a band who thrilled us with each EP was actually, when its production is viewed in its entirety, was an even better band than we thought. Ten dollars for 18 songs -- it would be a bargain at twice the price. In addition to Drew Frosberg, the band members for various songs on the album are B.J. Bonin, Adam Brunner, Brad Hendrickson, Michael McCloskey, and Neil McCloskey. Here is a tip for you -- excellent little Welsh label Libertino offers a Ghost Disco singles club, and through it you can get the wonderful "Victoria Park" by Cardiff trio Red Telephone. It is a delicious dose of '60s-flavored psychedelic pop. We are eagerly anticipating the October 26 release of Cactus Country by Cool Sounds. Following on the band's previous release of the title track, we now have "Cassandra" to fuel our dreams while awaiting the full album. This is finely crafted and immensely satisfying pop, my friends. Enjoy! We are beginning our day on a softer note, with an affecting song about grief, and a few other things, by UK singer songwriter Ichabod Wolf. The song is taken from his upcoming album, Carry On, Crow, which will be released at the end of the month. "Painted Horses" is out today on digital platforms via The Adult Teeth Recording Company. In our defense, we know a lot about a lot of things. But we freely admit that we have no idea what "bad sav" means, or even what "sav" means. However, if this band and their self titled album is Bad Sav, we don't want good sav. We'll just stay with the Bad Sav, thank you very much. All the players as known to us and our regular readers -- Death and The Maiden's Hope Robertson (vocals/guitar) and Lucinda King (vocals/bass) with Shifting Sands' guitarist and frontman Mike McLeod on drums. Moreover, we have learned that this project proceeded Death and The Maiden and Shifting Sands, so maybe Bad Sav is the big bad daddy of the trio, or the mommy, we don't want to be patriarchal. But you can ignore what you know about their other projects because Bad Sav is guitar rock, and guitar rock of great quality. The ten tracks of bad sav bring noise, majestic noise, while still providing haunting vocals and dynamic arrangements. 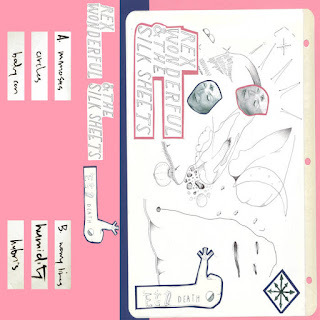 This is music that is dense and melancholy, but also varied and richly detailed. The pace can be stately, but the atmosphere is anything other than laid back. In physical form, these songs would be too hot to touch. Cue up the first track and get lost in the aural storm. At the end of the final track, press play to start again. Look at it as a new lifestyle. 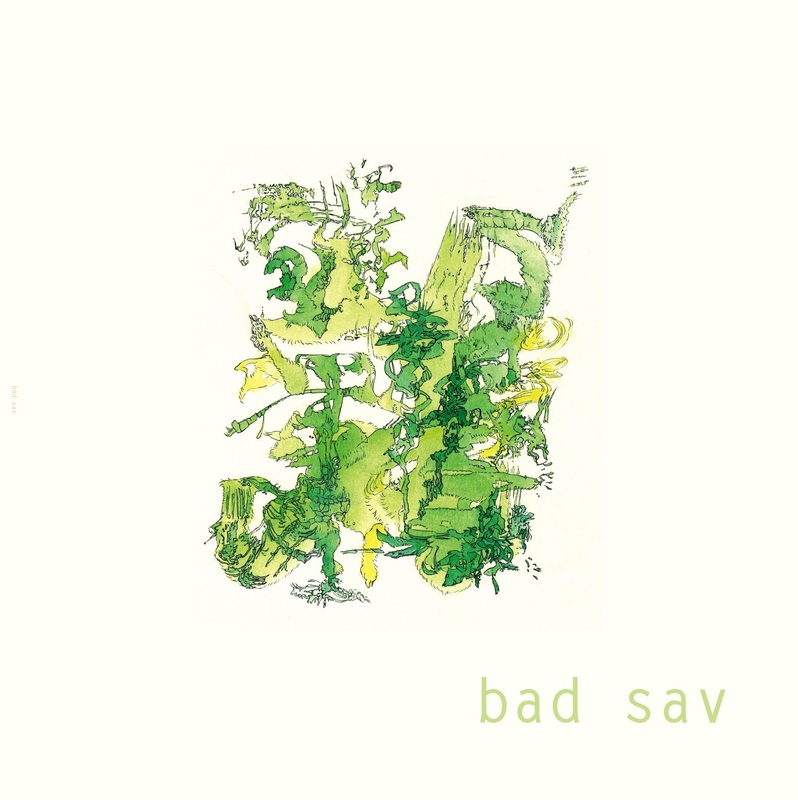 bad sav is out now in digital, vinyl and CD formats via Fishrider Records in New Zealand and Australia and Occultation in UK and Europe. Malmö, Sweden's Hater conjures a unique brand of indie pop, with the scrappy energy of C86, the charm of twee, and the crystalline shimmer of Scandinavian dream pop. The band is unafraid of showing vulnerability and focusing on bittersweet moments, but they wrap it up in some of the best-sounding guitar pop on the scene today. 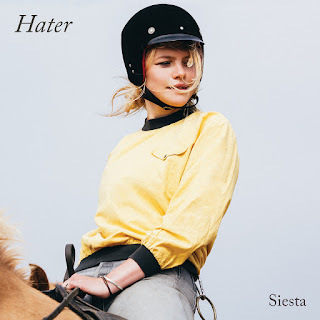 The spot-on pop sensibilities on display in their new album, Siesta, may remind the listener of Canada's Alvvays, but we find a bit more depth and nuance with Hater. And we must admit the the tone and delivery of ace vocalist Caroline Landahl reminds us of one of our long-time Swedish favorites, The Concretes. The arrangements here are layered and varied, and allow the band to coo or rock-out as they wish. 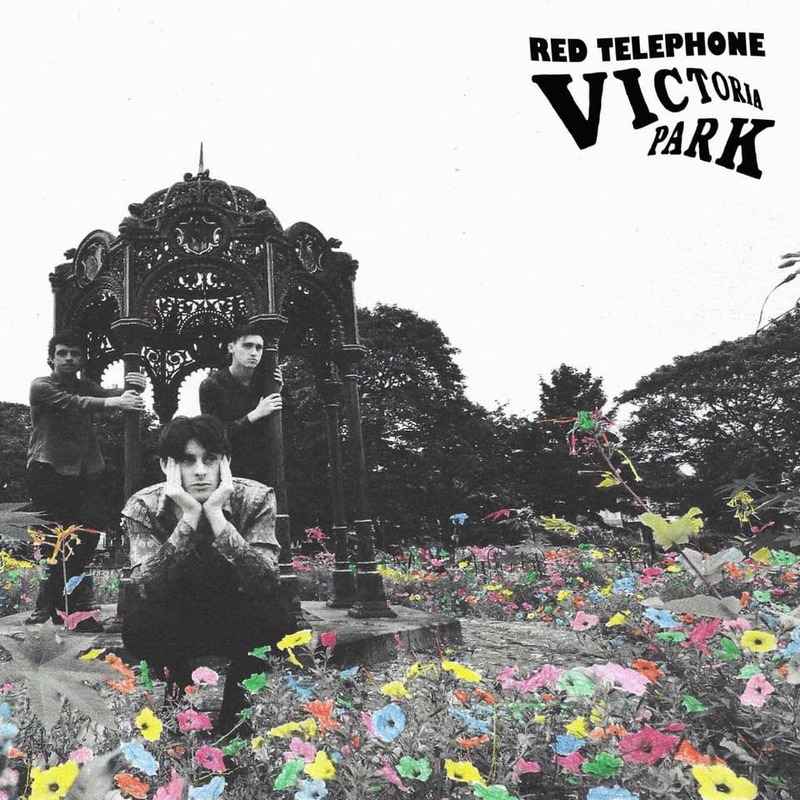 Several of the songs will impress and indie pop fan from the first listen, but the real treat comes with letting the whole album seep into your consciousness and time-release pleasure over a long period. Siesta is a "keeper" album, and Hater is here to stay. In addition to Caroline Landahl, Hater are Måns Leonartsson, Adam Agace and Lukas Thomasson. Siesta is out now in vinyl, CD and digital formats via Fire Records.